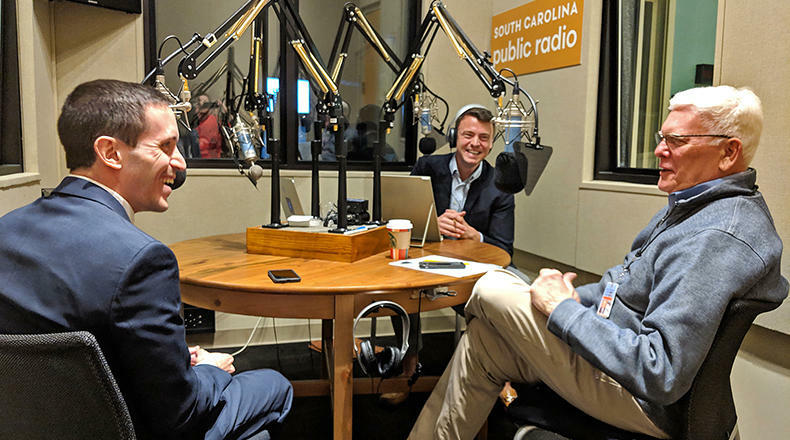 Gavin Jackson speaks with Andy Brown (l) and Russ McKinney (r) in the South Carolina Public Radio studios on Monday, January 28, 2019. On this edition of South Carolina Lede, host Gavin Jackson is joined by Meg Kinnard, South Carolina reporter for the Associated Press, and Maayan Schechter, statehouse reporter for The State, to discuss Gov. Henry McMaster's recently released state budget and the unity among lawmakers to make education reform a top priority for 2019. They also look at the roster of Democratic presidential hopefuls visiting South Carolina as they gear up for the 2020 election.